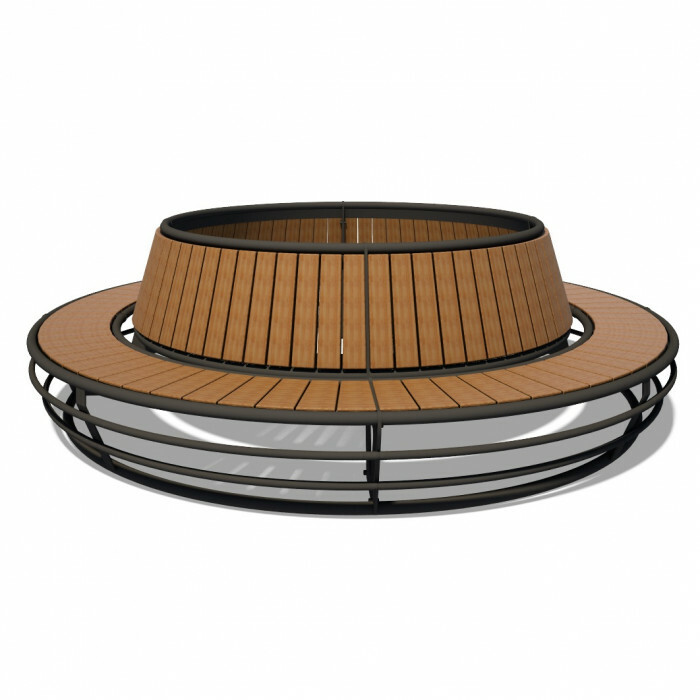 InterAtletika LP034 Round Bench will become a perfect addition to any children's playgrounds, play areas of recreation centres. Adults can sit on the bench while their kids are playing nearby and take an entertaining video or pictures for the family archive. The bench is installed by concreting or screwing. Such element is used in the area of outdoor exercisers, children's sports complexes can take a function of a place for dressing or seat for spectators. The InterAtletika wooden structure is installed in public places, private houses and cottages. Metal parts are painted with powder paint, and the wooden part - with several layers of varnish, which prevents ageing of the tree, prevent corrosion and does not allow moisture to pass through. For production, the manufacturer has used a high-quality steel profile that can withstand a load of 300 kg. Experienced landscape designers use this bench to complete the look of playgrounds, yards, your house area.